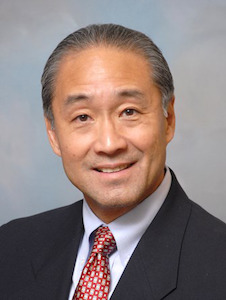 APIASF President Neil Horikoshi says too many college administrators consider the 48 AAPI ethnicities homogenous without taking into account myriad backgrounds and life experiences. Low-income Asian American and Pacific Islander (AAPI) college students tend to seek academic advice from peers rather than from designated support centers on campus because of perceived barriers. Furthermore, parents of these students typically support their academic endeavors but don’t necessarily comprehend them. These are among the findings in a new, national report by the Asian & Pacific Islander American Scholarship Fund (APIASF). The first of its kind by the Washington, D.C.-based organization, the report is based on results of assessment surveys conducted in 2009 and 2011. Survey respondents were 1,035 winners of scholarships dating back to APIASF’S 2003 inception, although college freshmen made up the majority of respondents. Students were either eligible for Pell grants or came from families living at or below poverty level. “This information has the potential to impact hundreds of thousands of AAPI students enrolled in higher education across the country,” says APIASF President and Executive Director Neil Horikoshi. Examples of the typical background of APIASF students can be found among the 2013-14 scholarship recipients. Half are the first in their family to go to college, and 69 percent come from families whose annual income is below $30,000. About six percent of the 328 recipients are Native Hawaiian or Pacific Islander. Across the board, the students come from 38 U.S. states, the District of Columbia, Marshall Islands, Northern Mariana Islands and the Federated States of Micronesia. The APIASF report shows what underserved AAPI college students need and experience on their campuses, especially in academic and co-curricular life. The APIASF staff also surveyed scholarship recipients in four other areas: transition to college, leadership development, self-awareness and personal goals, and parent involvement and family responsibilities. Survey results showed that students are unlikely to be aware of, or they underutilize, academic resources on campus. About 94 percent sought academic advice from classmates. And about 38 percent found academic advisers — the second most-used source — to be ineffective due to lack of personalized focus. The report recommends that in addition to offering peer mentoring programs to purposely engage underserved AAPI students, college officials should enhance academic and personal advising and support to validate the individual experiences of students. Horikoshi isn’t surprised that 38 percent of APIASF survey respondents were disappointed with campus academic advisers. Too many college administrators, he says, consider the 48 AAPI ethnicities homogenous without taking into account myriad backgrounds and life experiences. Meanwhile, more than one-third of 2009 respondents and nearly half of 2011 respondents indicated they didn’t use the academic support centers on their campuses. They described barriers such as being unaware that resources existed, feeling intimidated or embarrassed to seek help, and lacking time or accessibility. When asked to indicate which academic areas need additional support, respondents from both years of the APIASF survey wanted more help in exploring graduate school options, identifying research opportunities and developing study skills. About 60 percent of survey respondents indicated they had family responsibilities such as financial support or caring for grandparents or siblings, rendering them unable to turn to family much for academic support and guidance. Most of the respondents said they effectively balanced family responsibilities with school commitments, although 11 percent said they did not. More than 82 percent of respondents described their parents as supportive of their educational interests and 73 percent said their parents supported their career interests. Nonetheless, 37 percent stated that their parents did not understand their college experiences — not surprising for low-income, first-generation students. Some respondents indicated that certain obstacles faced by parents — limited English skills, financial limitations and obligations and lack of college education themselves — inhibited the kind of emotional support the young people wanted. Among other findings, this population of students faced challenges connecting to their respective campuses based on their social class and racial and ethnic identities, implying an affinity from these students toward connecting with peers of similar background. The APIASF report is intended for community organizations, higher education institutions and policymakers. The APIASF uses such data as the foundation for its programs and services, such as its regional scholar networks, which connect current scholarship recipients with alumni, and its annual higher education summit.